Ultra Premium for cats & kittens. Cats are carnivores. Despite their modern lifestyle, their general metabolism and in particular their digestive system are identical to their ancestors'... Therefore their physiological needs remain those of carnivores..."
To best meet their nutritional needs, the diet we give our cats must contain the foods they eat by instinct in nature. However, we have to take into account their present lifestyle (regular meals, overall less physical activity...). "INSTINCT" food has been developed for this purpose; that is to say, in the right proportions for our cats' nutritional needs by using fresh meat, vegetables and balanced quantities of animal fatty acids. 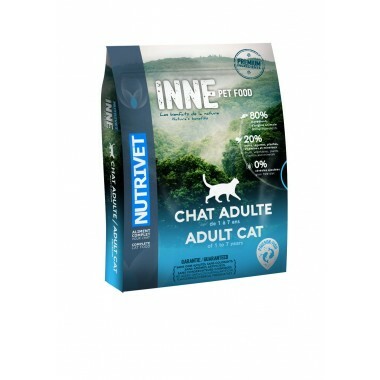 Unlike traditional pet food, "INSTINCT" strives to diversify its meat sources to be stay true to cats' natural diet in nature (depending on the prey that day). The unique recipes of "INSTINCT" have been developed to respect the "benefits of nature", to ensure out pets live long and healthy lives. "Cats are carnivores." Therefore, their physiology is genetically programmed to metabolize mainly meat-based ingredients and not food high in carbohydrates such as the cereals contained in traditional pet food. Nutritionally, our cats needs very little in the way of carbohydrates. Their diet is almost exclusively meat-based. There metabolism is essentially different from that of omnivores. The energy balance resulting from the use of carbohydrates is very low compared to that from metabolizing animal fatty acids. A cat's physiology is not designed to metabolize large quantities of cereals. 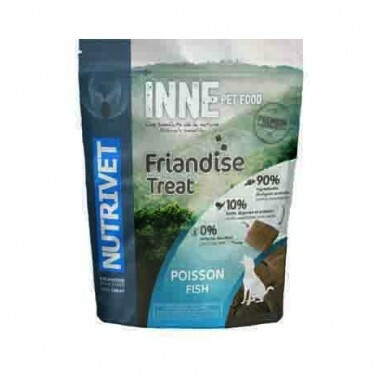 Unlike traditional pet foods, "INSTINCT" is primarily mainly made up of fresh ingredients, mainly varied meat-based and no cereals. Indeed, high levels of carbohydrates from cereals contribute to obesity, diabetes, high blood sugar and insulin resistance. It is the main cause of health problems in our cats today. Vegetables are the preferred source of vitamins, minerals and fiber essential for the health of our cats. They have the advantage of being a bioavailable food source with a much lower carbohydrate content than cereals. Cats instinctively hunt the benefits of certain plants to ensure their natural vitality, eliminate toxins, and strengthen their bodies. "Cats are carnivores." They clearly need animal fatty acids and not vegetable. 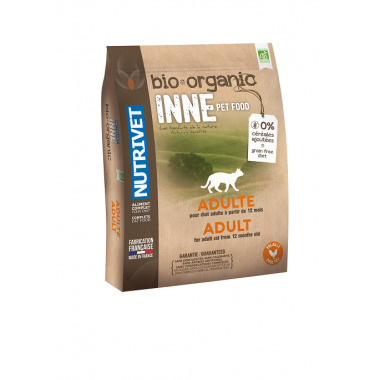 "INSTINCT" therefore features animal fatty acids, because they are metabolized to provide the energy a cat's body needs much more effectively than vegetable-based fatty acids. To stay healthy our cats need essential fatty acids such as omega 3. To guarantee their health and best physical condition, it is essential to ensure a diet with animal-origin omega 3, rather than vegetable-based omega 3 which are only barely metabolizable. 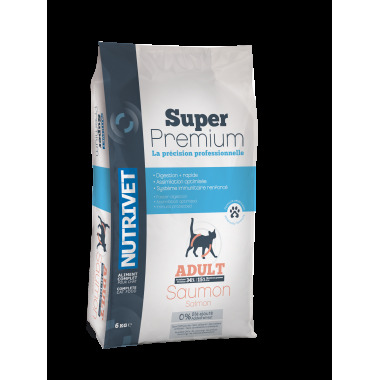 Traditional dry petfood is often made of animal-origin flour and therefore provides a very large and uncontrolled intake of minerals. "INSTINCT" uses mainly sources of deboned fresh meat for protein intake; it has the advantage of providing a perfectly controlled intake of natural minerals to precisely meet cats' needs and promote health.